A French doctor, Paul Gachet, could gain a position in art history. He became famous because of accompanying with a great Dutch painter, Vincent van Gogh, in the last months of his short life. Van Gogh had mental problems, and requested to spend a year in an asylum in south France. He discharged from there in May 1890, and then he went to Eure in north of France in order to cure himself by Dr. Gachet. Paul Gachet was an amateur painter and interested in art. He had a close relationship with great painters like Camille Pissarro, Paul Cézanne, Auguste Renoir, Claude Monet, Édouard Manet; and he was known as their doctor and friend. He supported these artists and bought their works to set them on his house walls. Pissarro introduced Gachet to Theo van Gogh, Vincent brother; and advised him that Vincent spend a few time by Gachet to recover himself. After that, they became friend and Vincent painted two portraits of his doctor in oil painting. We can see Gachet’s spleeny feelings in these paintings, that Vincent himself said this phrase “the desolate expression of our time” about it. 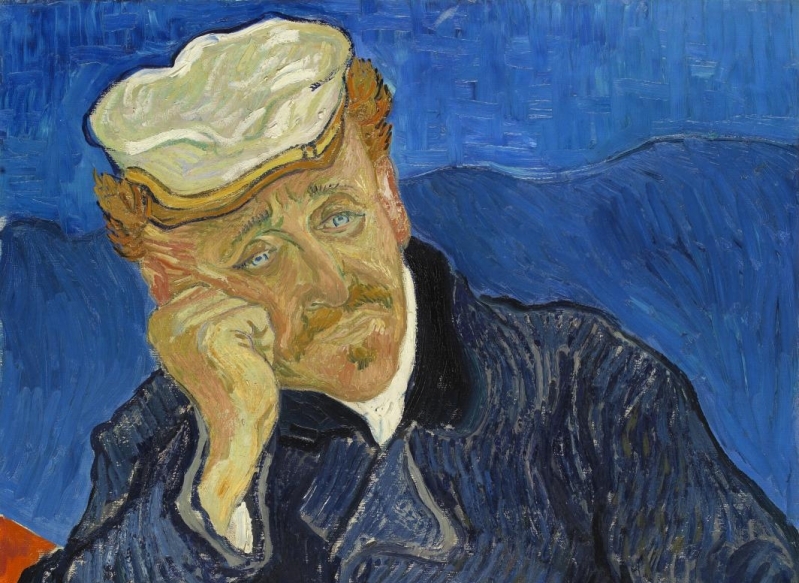 Vincent wrote his brother: “I think Gachet is sicker than me!” The first copy of the portrait was sold in an art auction for 82.5 million dollars in 1990 (its value in 2018: 154.5 million dollars). Despite Gachet’s serious controls, van Gogh killed himself in 29 July 1890. Dr. Gachet became very sorry about this incident, and spent at least one day in a week at his sepulcher. Gachet passed away in 1909, and left a great collection of famous artists’ works. Among them, there was the second copy of his portrait that his children donated it to the d'Orsay museum in Paris in 1949.